His father died when Nicolaus was 10 years old. So he was taken care of by his uncle Lucas Waczenrode, a clergyman. At age 15, his uncle sent Nicolaus to a Cathedral school for three years. After that, he was sent to the university of Krakow, to study Latin, mathematics, astronomy, geography, and philosophy. At that university, he started using a Latin version of his name. Than his uncle wanted him to become a clergyman, so he sent him to the University of Bologna in Italy, to get a degree in canon law. Nicolaus was appointed clergyman of Frauenburg, again with the help from his uncle. Nicolaus had a passion for something different though. He asked his uncle if he could return to school to finish his law degree and study medicine. Why medicine? Because that was the degree where astronomy was used. Astronomy was nothing more than astrology at the time. So it was used in medicine. Leader of the Cathedral Chapel funded Nicolaus's time of study. When Nicolaus returned home, he worked as his uncle's doctor, officially. Behind the scenes, though, he continued to study astronomy. His studies led him to a revolutionary conclusion... the earth is not the center of the universe. He wrote a small book outlining his theory. He published the book anonimously. In 1516, he was appointed the administrator of Allenstein. He was successfully able to defend the Allenstein Castle from an attack by Teutonic Knights. Than he was appointed Commisar of Ermland, to restore the area after the war. During the war, he continued studying astronomy. In 1522, he returned to Frauenburg, and began writing his official book. The book probably wouldn't be published, if not for the help of a young Protestant named Rheticus. Rheticus took the manuscript to a printer named Johann Petreius. The printing was overseen by a Lutheran theologian, Andreas Osiander. 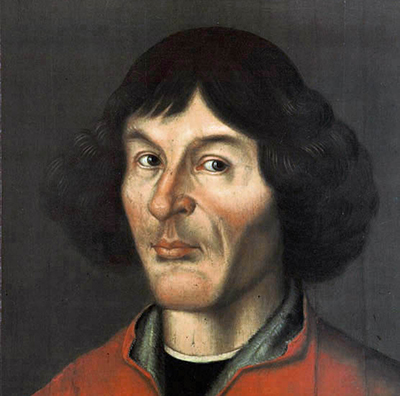 He removed the cover letter written by Copernicus, and added his own cover letter. The latter basically said the book should not be taken seriously, but should just serve as a simpler way to calculate the motions of heavenly bodies. The substitution was discovered only 50 years later. Some believe this substitution was the only reason the book was not banned immediately.